After spending the xmas holiday converting my noisy poor performing end fed random wire to a resonant 40/30m fan dipole I decided 2015 would finally be the year I invest in a linear amplifier. This would be primarily for home use but also an essential part of field day / special event stations. My investigation into solid state linears got no further than the price tag. The only amplifiers I could find that matched my budget were either used valve amplifiers or at a stretch, a new Ameritron 811. Whilst happy to wait a few months for a new 811 I did of course also keep an eye on ebay and other ham radio sites. Sadly, these two amplifiers needed a new home due to a SK sale. They appear to have been very well looked after and recently serviced. The electrolytics look like they’re been recently replaced plus the seller informed me they’d both recently had new valves fitted. I couldn’t find a massive amount of information online regarding these amplifiers so figured I’d add a few comments here. Both appear good for 600+W output (KW1000 tested at 800W into dummy load), possibly less in high duty modes. 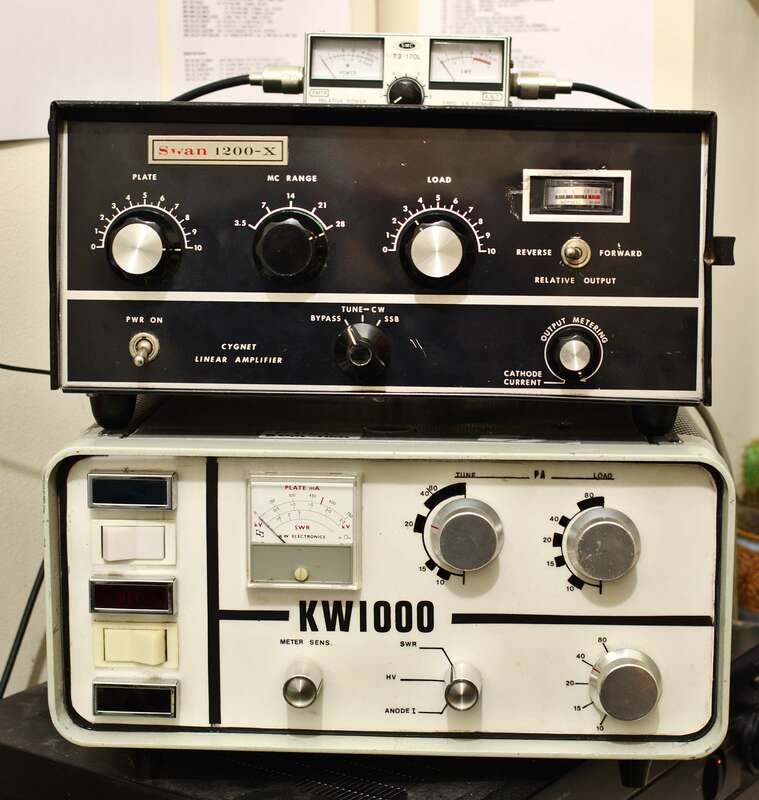 I understand the KW1000 uses 827Bs (common) whilst the Swan 1200X uses 6LQ6s (rare). The Swan does have modifications published for conversion to other tubes; I have yet to open my example to check exactly what’s fitted. Also worth noting, whilst the KW1000 has a fan fitted as standard, the Swan 1200X has had an aftermarket modification blowing cold air over the tubes. Reports so far seem positive. Both the Swan 1200X and KW1000 receiving great reports when running at full legal power. The only other things worthy of note are: The Swan 1200X a) is 110V so requires a step down transformer and b) doesn’t present a standard 50 ohm load to the transceiver; the input impedance changes as the output is tuned. I’ve solved this using an ATU between transceiver and linear which whilst working is an added annoyance. The KW1000 doesn’t appear to have this problem. 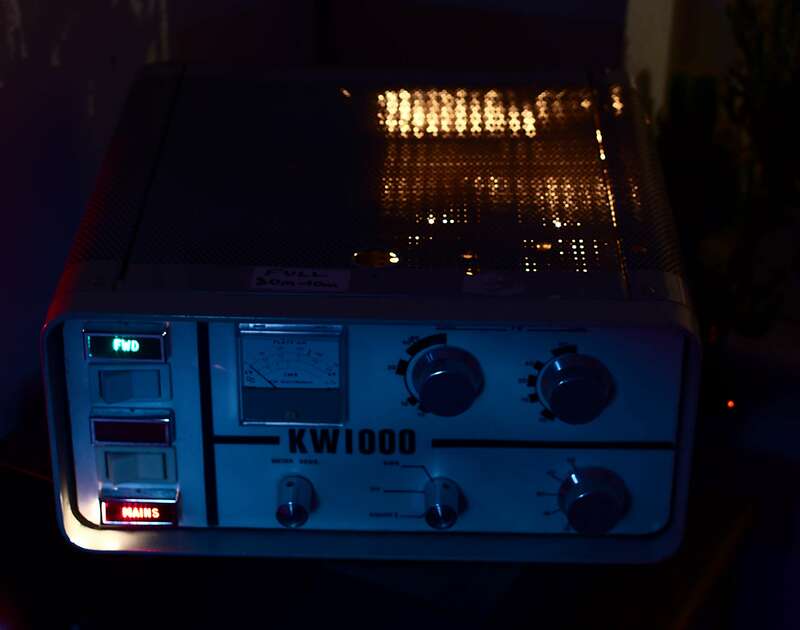 This entry was posted in Uncategorized and tagged HF, KW1000, linear, swan 1200x. Bookmark the permalink. 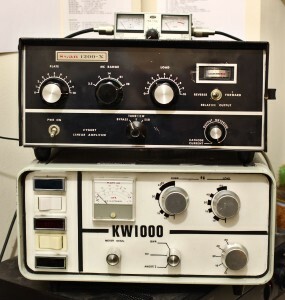 2 years after your articles, but i must say Thanks for your posts and info, i just bought a cheap untested one on Ebay UK as a winter project, so i won’t be testing the amp or any buffering/switching mods on my posh HF.. that ‘honour’ will have to relegated to my old 757..